From 4 to 5 November, President Jacob Zuma hosted President Pierre Nkurunziza of the Republic of Burundi on a State Visit to South Africa in Cape Town. 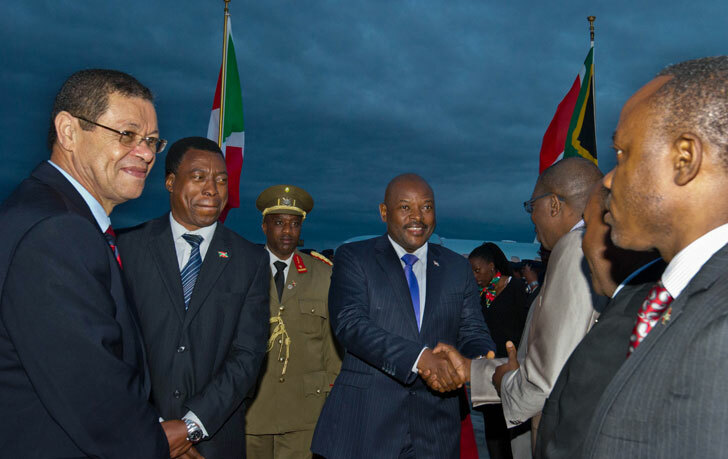 The visit further enhanced existing cordial relations between South Africa and Burundi. South Africa actively supported Burundi’s quest for peace and democracy a few years ago. President Zuma took over from President Nelson Mandela in 2000 as the mediator in the Burundi peace talks. Then Deputy President Zuma led the protracted but successful mediation process which led to a resolution of the Burundi conflict and the ushering of a new government in 2005. The highlights of the mediation process, led by President Zuma, included a key achievement for the African continent – the deployment of South African peacekeeping troops in Burundi for seven years, 2003 to 2009. This became the first-ever African Union peacekeeping force. To turn this historic bond into stronger socio-economic ties, President Zuma and President Nkurunziza discussed further cooperation in priority areas such as trade, health, arts and culture, mining, agriculture, higher education and defence. Two bilateral agreements were signed during the visit. A South Africa-Burundi Business Forum aimed at increasing trade and investment between the two countries met in Cape Town on 4 November 2014. President Zuma reiterated that: “I take this opportunity to assure you that we will continue to build on our friendship as we believe in the strategic value of closer ties with Brazil as a valuable partner in the South”. 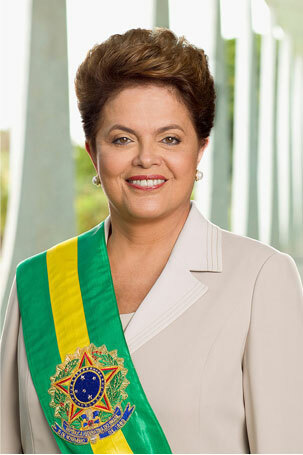 President Jacob Zuma has, on behalf of the Government and people of South Africa, conveyed his sincere congratulations to Dilma Rousseff on her successful re-election as President of the Federative Republic of Brazil. President Zuma said: “The relationship between our two countries is underpinned by a common desire to influence the global agenda in the 21st century in a manner that reflects the aspirations of developing countries”. In this regard, the President highlighted the fact that the strength of bodies such as BRICS and IBSA was a direct result of the excellent bilateral relationship that existed among its members. President Zuma underscored the excellent relations that exist between South Africa and Botswana, founded on deep historical, cultural, linguistic and family ties. 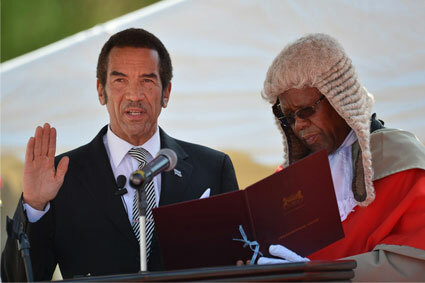 President Jacob Zuma extended his profound congratulations to President Lt. General Seretse Khama Ian Khama, leader of the Botswana Democratic Party, on his re-election as President of the Republic of Botswana, following the successful holding of elections on Friday, 24 October 2014. The elections in Botswana are a testament to the strength of democracy and the underlying belief that the voice of the people must be heard. In this regard, the President wishes to commend all the political parties and people of Botswana for the conducive and peaceful environment in which the elections were held. “As members of the Southern African Development Community and the African Union, our bilateral relations are also based on shared values of mutual respect, commitment to democracy, good governance, the rule of law and respect for human rights. I am sure that these existing good relations built over the years will continue to grow and prosper under your able leadership,” said President Zuma. President Zuma concluded by expressing South Africa’s readiness to continue to partner with Botswana in pursuit of mutually beneficial cooperation. South Africa has committed itself to working with other regional organisations, particularly the Intergovernmental Authority on Development (IGAD) and the African Union (AU) in consolidating peace and stability in South Sudan while addressing the humanitarian challenges facing the country. South African Deputy President, Cyril Ramaphosa, paid a Working Visit to Juba in South Sudan on Wednesday, 29 October 2014, where he met with President Salva Kiir and other political role players as part of ongoing efforts to help create peace and stability in the country. Deputy President Ramaphosa’s visit came within the context of ongoing consultations with the regional leadership on the peace process in South Sudan, which is led by IGAD, as well as to hold discussions with President Kiir and other SPLM leaders on the Intra-Party Dialogue. The visit to South Sudan by Deputy President Ramaphosa was the third since his appointment as Special Envoy of President Jacob Zuma. Following the visit to Juba, Deputy President Ramaphosa proceeded to Addis Ababa to meet with the AU Commission Chairperson, Nkosazana Dlamini Zuma. 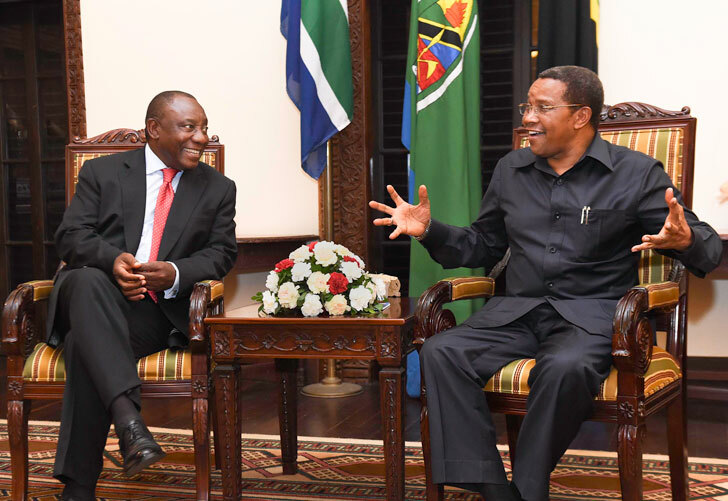 On 30 October, Deputy President Ramaphosa proceeded to Kampala and Dar es Salaam for further consultations on the peace process with President Yoweri Museveni and President Jakaya Kikwete respectively. The Parliamentary debate formed part of South Africa's national consultative process. A Special Joint Sitting of Parliament to debate Agenda 2063, the 50-year strategic vision for Africa spearheaded by the African Union (AU), took place on Friday, 31 October 2014, under the theme: "The Africa We Want". The AU has called on its member states to solicit inputs from various stakeholders. Parallel to the continental discussions underway, the Department of International Relations and Cooperation has engaged in a domestic consultative process with various stakeholders towards a national input into the AU's document. Consultations, planned and held, include those with the youth, women, cultural/traditional groups and the academia, among others. The South African Government sends it deepest condolences to the families of the deceased, the people and the Government of the Arab Republic of Egypt, and wishes the injured a speedy recovery. 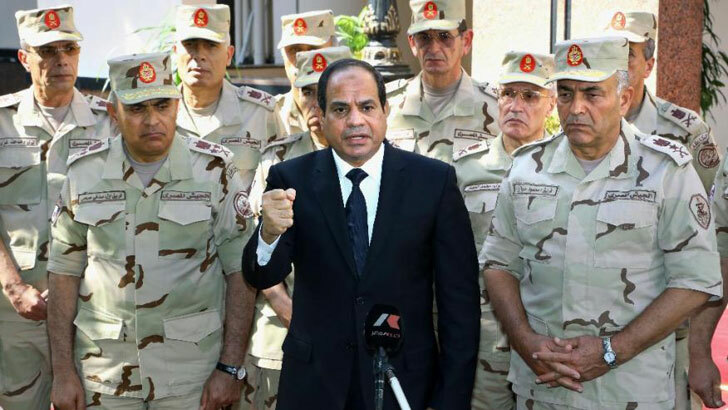 The South African Government condemns in the strongest possible terms the recent terrorist attacks which claimed the lives of more than 34 soldiers and injured many in Sinai, Egypt. South Africa regrets the fact that the attack happens at the time when the Arab Republic of Egypt has ascended its role in the region, having mediated in the Israeli/Palestine conflict and initiated efforts aimed at restoring peace and stability in the region. The South Africa Government supports the pronouncement made by the Chairperson of the African Union (AU) Commission on the need for continued and coordinated African efforts to prevent and combat the scourge of terrorism as agreed upon by the AU Peace and Security Council at its meeting held in Nairobi on 2 September 2014. The Double Troika consists of the following countries: Zimbabwe, South Africa, Botswana, Namibia, Lesotho and Malawi. 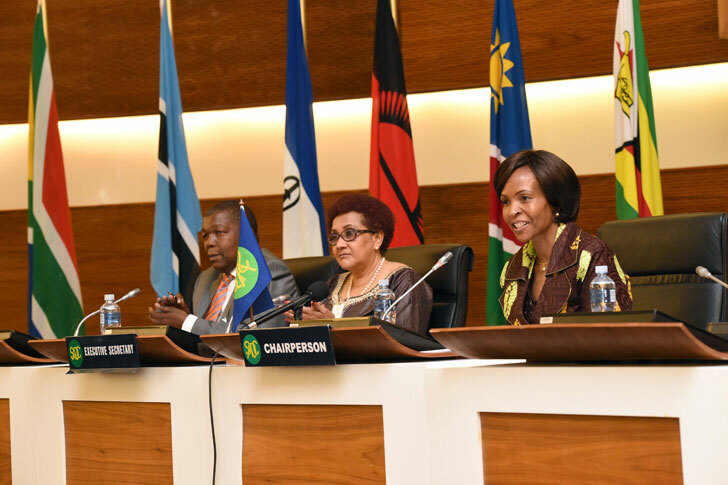 South Africa hosted a Ministerial Meeting of the Southern African Development Community (SADC) Double Troika on Thursday, 30 October 2014. The meeting took decisions relating to the SADC Observer Mission on Politics, Defence and Security deployed to the Kingdom of Lesotho. The WTM houses 5 000 exhibitors from 186 countries and is one of the largest tourism trade platforms in the world. The Minister of Tourism, Derek Hanekom, led a delegation of South African tourism marketers and product owners to the annual World Travel Market (WTM) tourism trade expo in London from 3 to 6 November. “WTM annually facilitates some R38 billion in industry deals. About 50 000 product owners, tour operators and travel agencies, airlines, technology providers, government ministers, global industry leaders and international travel media are expected to attend the event between Monday and Thursday this week,” the Department of Tourism said in a statement. WTM creates opportunities for the international travel and tourism trade to negotiate business deals, discuss issues that affect the sector and expand networks. The South African delegation includeed representatives of government, South African Tourism, provincial and local government tourism marketing authorities, and a range of tourism and travel product owners and travel service providers. “The WTM is one of the premier events where South Africa engages with the global travel trade. Besides maintaining excitement about our destination, and all that we have to offer, this platform is about doing business and growing international tourist arrivals to our country,” said Minister Hanekom. They discussed measures needed to further deepen the bilateral trade and investment relationship, including the importance of a transparent, rules-based investment environment. The state of the global economy and the development of trade and investment linkages between the United States and South Africa formed part of discussions in Pretoria recently, between Finance Minister Nhlanhla Nene and United States (US) Secretary of Treasury, Jacob J Lew. Their discussions also touched on regional growth and investment. Minister Nene described South Africa’s economic challenges and plans to bolster growth while reining in the fiscal deficit. Secretary Lew, meanwhile, welcomed Minister Nene’s Mid-Term Budget Policy Statement which was recently tabled in Parliament. He encouraged further implementation of the priorities highlighted in the National Development Plan, such as investment in critical infrastructure, labour- market reforms to support inclusive growth and job creation, and steps to strengthen governance of state-owned enterprises. Additionally, Secretary Lew outlined the ongoing steps that the US is taking to strengthen its economy. Minister Nene and Secretary Lew noted the constructive cooperation the two countries had had through the G20 and the Financial Stability Board, including on making appropriate regulatory standards for the financial sector. The two leaders also agreed on the need for the US to pass the International Monetary Fund (IMF) quota reform as quickly as possible, which will strengthen the IMF’s ability to respond to urgent global crises. Secretary Lew highlighted US and South African cooperation to promote the goals of the Power Africa initiative, which aims to boost access to electricity to more than 60 million households and businesses across Africa. The South African Government joins the call made by the African Union (AU) on the Government of Burkina Faso to respect the wishes of the people, as well as the prevailing Constitution of the Republic of Burkina Faso. The South African Government notes with concern the ongoing political developments in the Republic of Burkina Faso. 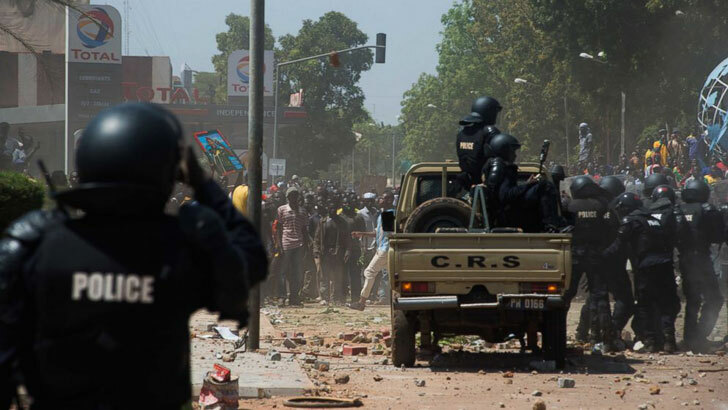 It is reported that the growing upheaval in Ouagadougou, capital of the Republic of Burkina Faso, resulted in the destruction of several key installations, including the police headquarters, and the deployment of the army and police on the streets. 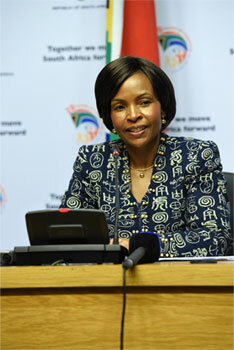 The South African Government appeals to the people and all political leaders in the country to refrain from any further violent activities that may undermine peace, security and stability in the country and calls on all relevant parties to work speedily and through an inclusive process towards the restoration of constitutional order. South Africa wishes to remind all those involved in the current developments in Burkina Faso of the AU’s position of rejecting unconstitutional changes of government. The South African Government is monitoring the unfolding situation and will continue to do so. We urge all involved, including Burkina Faso's security forces, to adhere to non-violence, and to allow for an environment in which issues can be debated in a peaceful and inclusive manner. All South Africans living in or visiting Burkina Faso are advised to register on the ROSA system and stay away from all protest sites. For assistance, please contact the South African Embassy in Ouagadougou on tel no: 00-226 774 121 21 or 00-226 503 760 98. The peaceful atmosphere in which the elections were conducted is a testimony to the spirit and resilience of the Tunisian people and should be promoted as a good example to the countries of the Middle East and North Africa region and beyond. 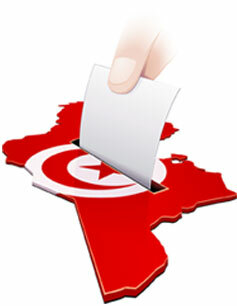 The Government of the Republic of South Africa would like to congratulate the people of the Arab Republic of Tunisia on the occasion of the successful conclusion of the first democratic legislative elections held on 26 October 2014 since the adoption of the final Constitution earlier this year. The people of Tunisia, the Independent Higher Elections Authority and the Government of Tunisia remained steadfast in their determination to successfully conclude their democratic transition, culminating in the legislative elections in a peaceful atmosphere. South Africa is equally confident that the presidential elections on 23 November 2014, will also take place in a free and fair atmosphere. South Africa remains committed to assist and support fellow African countries in their efforts towards democracy and constitutional normalcy. 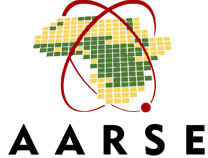 The theme of this year’s 10th AARSE Conference was “Space Technologies for Societal Benefits in Africa”. The theme complemented the National Space Strategy goal of leveraging the benefits of space science and technology for socio-economic growth and sustainable development. The Minister of Science and Technology, Naledi Pandor, addressed the opening session of the 10th AARSE Conference 2014 at the University of Johannesburg on 27 October 2014. AARSE is a participating organisation in the Group on Earth Observation, an institutional member of the Global Spatial Data Infrastructure Association and the international Year of Planet Earth. To realise its objectives, AARSE holds conferences in different African countries every two years. Hosting the AARSE 2014 Conference in South Africa afforded the South African National Space Agency an opportunity to increase awareness of the use of Earth observation for decision-making processes. It further provided an opportunity for South Africa to contribute to an Africa dialogue on the use of Earth observation, building African capacity in science and technology and promoting continental integration. Minister Radebe said South Africa was determined to develop its research capacity in order to fuel innovation to drive economic growth. The country would also have a special focus on development programmes to support young, female and black researchers. Minister in The Presidency, Jeff Radebe, says BRICS countries must continue to embrace innovation as a key driver for economic growth. 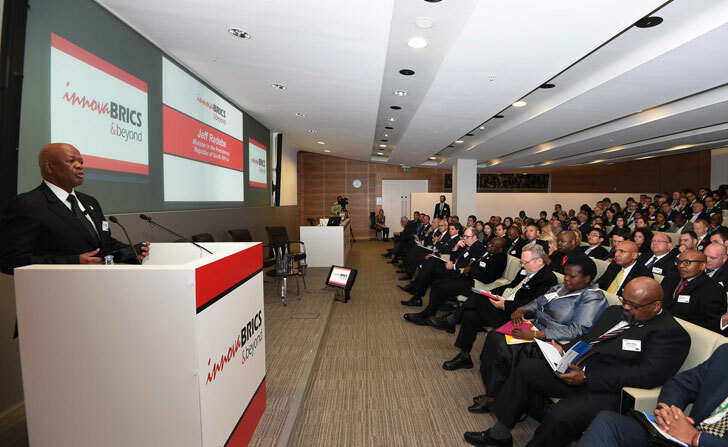 The Minister was speaking at the official opening of the Third Annual InnovaBRICS (Brazil, Russia, India, China and South Africa) Conference in London last week. “Innovation is a powerful engine for development and for addressing social and global challenges. “I can also affirm that innovation is centrally located in South Africa’s long-term economic growth strategy, which includes a focus on the pharmaceutical industry, indigenous knowledge and rich biodiversity …” said Minister Radebe. South Africa used the conference as a platform to popularise its National Development Plan, which is the blueprint for ending poverty and reducing inequality by 2030. 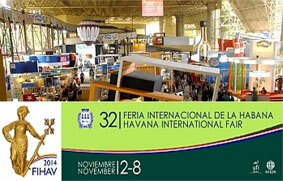 Trade and Industry Deputy Minister, Mzwandile Masina, is leading a delegation of 15 South African exporters to the 32nd Havana International Trade Fair in Cuba. “Cuba is one of South Africa’s most important political partners in Latin America and the Caribbean. The two countries have strong bilateral exchanges in the fields of socio-economic activity,” said Deputy Minister Masina. According to Deputy Minister Masina, the participation by South African companies will provide an excellent platform for identifying trade and investment opportunities in the technology and innovation, metals and mining, electro-technical, chemicals, capital equipment capabilities, and engineering and allied services sectors. The fair will take place from 2 to 8 November. 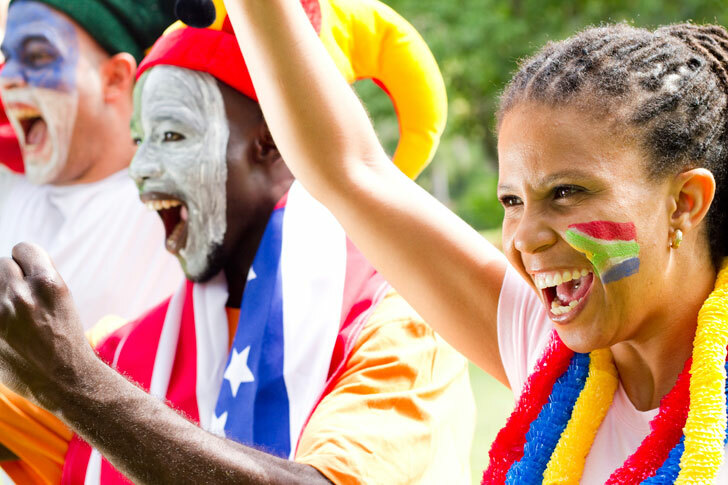 In 2013, Cuba ranked 153rd as a destination for South Africa’s exports and 113th as a source of imports globally. Although South Africa has been experiencing a trade deficit with Cuba since 2009, the trade deficit gap narrowed from R68 million in 2010 to R17 million in 2013. Masina was speaking at an investment seminar in Shanghai, China, where he was leading a delegation of 59 South African business people. The Deputy Minister of Trade and Industry, Mzwandile Masina, invited Chinese companies to partner with local firms, especially in the manufacturing sector. He called on Chinese companies to partner with local businesses. "Chinese companies are invited to partner with and invest in local companies to beneficiate the raw material before they export them," he said. Masina told potential investors the manufacturing sector, which was a central pillar of South Africa's industrialisation programme, was one area that offered opportunities. "We are creating an economy that is about a methodical expansion of our industrial base through value addition from which employment opportunities will be created and sustainable economic growth could be realised," he said. The Global Forum took place while South Africa is in the process of drafting the National Youth Policy (NYP) 2015 – 2019 to build on the NYP 2009 – 2014 that will come to term at the end of this year. South Africa is one of the 122 countries of the 198 that have adopted a NYP. The Deputy Minister in The Presidency, Buti Manamela, attended the first-ever Global Forum on Youth Policies in Baku, Azerbaijan, from 28 to 30 October 2014. Deputy Minister Manamela was also a panelist at a panel discussion, entitled "Guiding Principles for Integrated Youth Policies”, where the principles that guide integrated, efficient and inclusive youth policies for the 21st century were debated. "We have accepted the invitation from the United Nations (UN) to participate at the Global Forum on Youth Policies because it will allow South Africa a platform to share experiences with other countries in drafting policies that respond to the needs, interests and aspirations of young people,” said Deputy Minister Manamela. The forum aimed to build a common understanding of guiding principles for integrated youth policy development and to share plans to develop a shared commitment to take youth policy forward. The Global Forum on Youth Policies was convened by the UN Secretary-General's Envoy on Youth, Ahmad Alhendawi; together with the UN Development Programme; UN Educational, Scientific and Cultural Organisation; and the Council of Europe. It was attended by youth policy experts from governments and parliaments from around the globe. Deputy Minister Manamela then proceeded to Addis Ababa, Ethiopia, where he attended the African Union Youth Minister's Meeting themed "Building an Interface on Youth, Culture and Sport” from 31 October to 1 November 2014. Western investors, facing sluggish growth at home, are hoping the continent’s budding markets can help them tap into Africa’s “frontier markets”. Frontier markets, also known as “pre-emerging markets”, are countries with investable stock markets that are less established than those in the emerging markets. 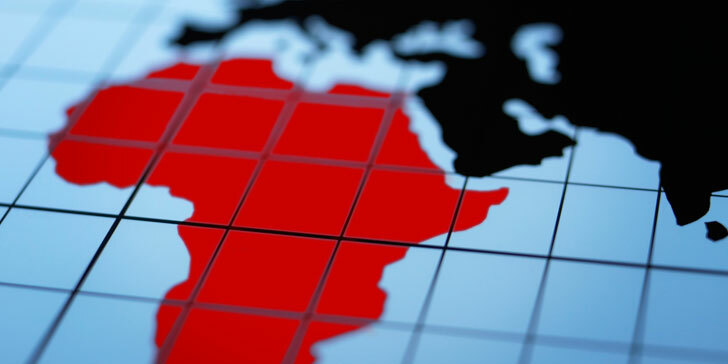 Despite the Ebola virus threat in West Africa, there is growing appetite from Western investors for Africa’s markets which promise high returns. Speaking to Agence France-Presse (AFP), Hubert Segain, a partner at international law firm Herbert Smith Freehills, said Africa had lots of opportunities for fast growth. “The Americans are beginning to look, the whole world is looking, because it’s the last big territory with a lot of opportunities for growth,” he said. The International Monetary Fund predicts that despite the heavy economic toll from the Ebola epidemic, sub-Saharan Africa’s economy will expand 5,1% in 2014 and 5,8% in 2015 – the highest growth outside Asia. These projects will go a long way in enhancing the economic situation of Limpopo by creating more sustainable jobs for the people of the province and also ensure that the province benefits through the advanced technological expertise that the People’s Republic of China is known for. The Limpopo Provincial Government delegation, led by Premier Chupu Stanley Mathabatha, to China has managed to build and establish healthy relations with both the private and the public sector. Among others, the province has built and cemented relations with the Jidong Development Group, which is in a partnership with Wiphold, China Africa Development and Conticem for a R2-billion cement-manufacturing plant establishment in Thabazimbi. The project is expected to be completed by December 2015. The consortium also has plans to send 100 South Africans to China for onsite training during the construction of the manufacturing plant. The province also signed with Hoimor and Chec CADF for R458-billion metallurgical base projects, which is earmarked for the Musina special economic zones in Limpopo. The project is estimated at a capacity to employ not less than 17 000 people in permanent jobs. The province, through LEDET, has also signed a cooperation agreement with the business community in Nantong and a cooperation agreement between the Limpopo province and the People’s Province of Henan in China. South Africa's cultural diversity also made it easier for expats to find their feet, and made it easier for them to find something to remind them of home. The 2014 edition of the HSBC Expat Explorer survey spins a really good story for South Africa. Expatriate workers looking for a balance between work and a decent family life rated South Africa the second-best destination in the world, after New Zealand. The annual survey measures four categories: earnings, lifestyle, raising children and the cost of living. Countries made it on to the list if, and only if, there were at least 100 respondents from each locale. The results are based on the subjective opinions of almost 3 000 expats. Switzerland was tops overall, South Africa 22nd, but the country outranked most others on social measures, like "great place to raise children". The international bank measured four social categories: (1) ability to befriend locals, (2) success in learning the local language, (3) capacity for integrating themselves into the community and fitting into a new culture, and (4) raising children abroad. The Energy and Infrastructure category, which has been endowed by global energy and infrastructure giant GE, recognises outstanding journalism focused on key sectors for Africa’s growth. 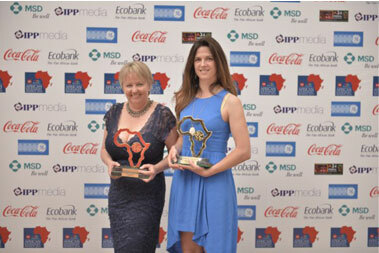 CNN, MultiChoice and GE (NYSE:GE) have announced that Joy Summers and Susan Comrie of South Africa have been awarded the GE Energy and Infrastructure Award at the 2014 CNN MultiChoice African Journalist Awards ceremony. Summers and Comrie, who work for M-Net, Carte Blanche, share the award for their work, “Game of Geysers part 1 and 2”, which was chosen from entries spanning 38 nations across the African continent. Speaking from Nairobi, where the AFSJ meeting was held, Smallhorne said the AFSJ meeting which elected her had expressed a united determination to back an African bid to bring the next World Conference of Science Journalists to Africa. 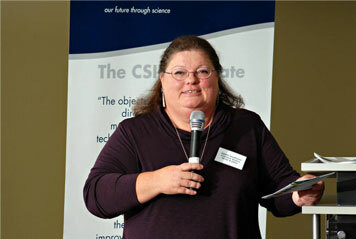 Mandi Smallhorne, the current president of the South African Science Journalists’ Association, has been chosen by unanimous vote as the president of the African Federation of Science Journalists (AFSJ). Linda Asante-Agyei of Ghana is the deputy president, Lominda Afedraru of Uganda is treasurer, Christophe Assogba of Benin is handling publicity and Aghan Daniel of Kenya is secretary, bringing to bear the sterling work he has done in organising two conferences for MESHA Kenya. The project displays the technology and educational progress South Africa has made in electrical vehicle technology and in photovoltaic technology. The UKZN Solar Car, designed and built by six final-year UKZN mechanical engineering students and their two supervisors, took the top position in South Africa and third place internationally in the 2014 Sasol Solar Car Challenge in October. 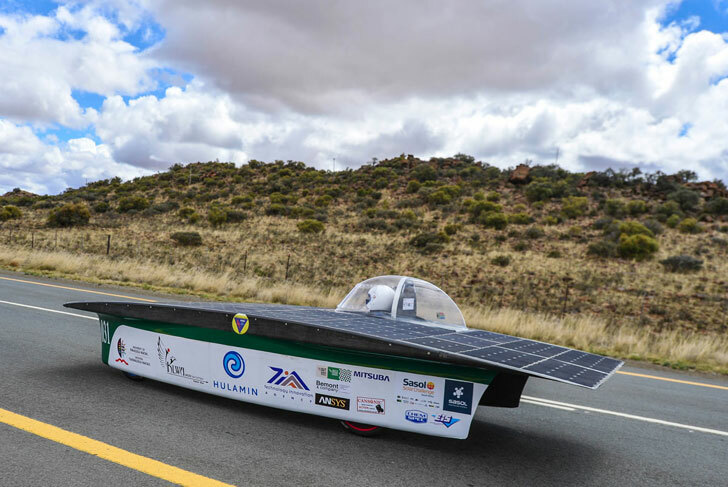 The Sasol Solar Challenge is held in South Africa every two years, in collaboration with Motorsport South Africa and the Federation Internationale de l’Automobile. The team now has the honour of holding the current record for the longest distance travelled by a South African team in both the Challenger Class (2012) and the Olympia Class (2014).